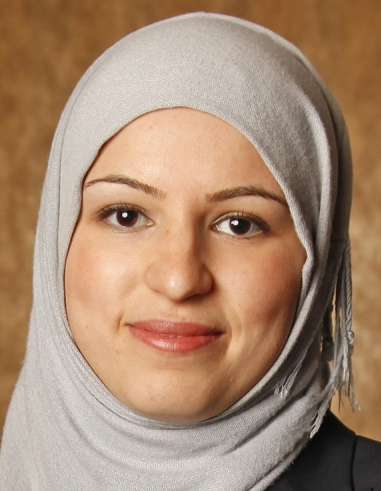 June 19, 2014 Washington, D.C. — The Council on American-Islamic Relations (CAIR), the nation’s leading Muslim civil rights and advocacy organization, announced today that it has named Ohio attorney Roula Allouch as its new acting national board chair. Allouch had been vice chair of CAIR’s board and was named to head the organization when the previous chair Omar Zaki stepped down after two years in his post. She served as president of CAIR’s Cincinnati chapter from 2008 to 2013, and is an attorney practicing in Ohio and Kentucky, where she focuses on employment law, insurance defense and general civil litigation. Allouch is a member of the American, Kentucky, and Cincinnati Bar Associations and serves as public service co-coordinator for the American Bar Association Young Lawyers Division and is the Kentucky young lawyer delegate to the American Bar Association House of Delegates. The Council on American Islamic Relations (CAIR) describes itself as “a grassroots civil rights and advocacy group and as “America’s largest Islamic civil liberties group.” CAIR was founded in 1994 by three officers of the Islamic Association of Palestine, part of the U.S. Hamas infrastructure at that time. Documents discovered in the course of the terrorism trial of the Holy Land Foundation confirmed that the founders and current leaders of CAIR were part of the Palestine Committee of the Muslim Brotherhood and that CAIR itself is part of the US. Muslim Brotherhood. In 2008, the then Deputy leader of the Egyptian Muslim Brotherhood acknowledged a relationship between the Egyptian Brotherhood and CAIR. In 2009, a US federal judge ruled “The Government has produced ample evidence to establish the associations of CAIR, ISNA and NAIT with HLF, the Islamic Association for Palestine (“IAP”), and with Hamas.” CAIR and its leaders have had a long history of defending individuals accused of terrorism by the US. government, often labeling such prosecutions a “war on Islam”, and have also been associated with Islamic fundamentalism and antisemitism. The organization is led by Nihad Awad, its longstanding Executive Director and one of the three original founders. The GMBDW reported in October 2013 that a Jewish filmmaker and interfaith activist had been appointed the first non-Muslim director of a branch of the Council on American Islamic Relations (CAIR). The GMBDW judges that the latest appointment of a woman as CIAR national board chair is part of the organization’s strategy to deflect ongoing criticism of the Hamas ties of its longstanding leadership. For a profile of Ms. Allouch, go here.